Springtime is the ideal period of the year to take on DIY summer projects to decorate your home for the upcoming season. With warmer weather and flowers blooming everywhere, inspiration is booming. As such, this is the perfect time to unleash and let those creative juices flow. There are a number of décor items you can create to make your home more stunning and inviting this summer. 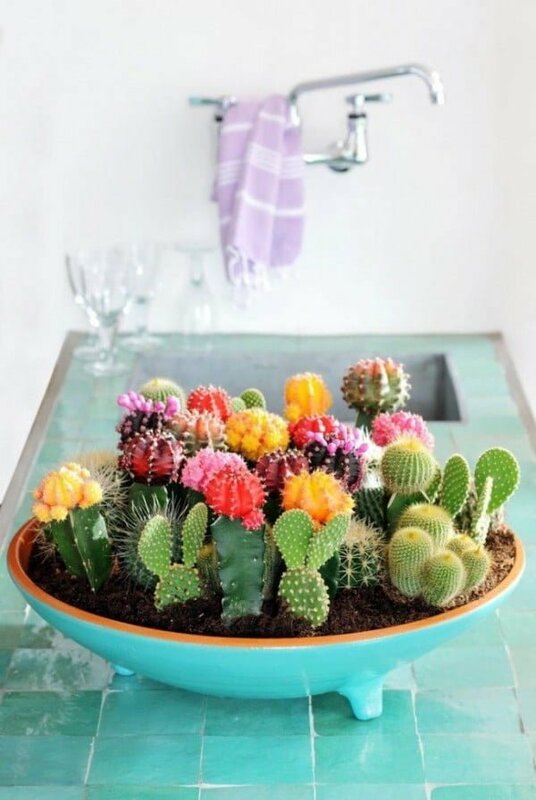 From ice cream cone garlands and flip-flop wreaths to shell planters and beaded sunburst mirrors, there are many DIY summer projects you can take on to spruce up different spaces around your home. The burlap button flag is an amazing summer décor that is perfect to add to your 4th of July celebrations. The flag is delightful and can be made in a short amount of time. You don’t even have to remove it after the festivities; it can remain year round as a patriotic symbol. There is nothing that says summer quite like ice cream cones. As a homage to this sweet treat, you can make an ice cream cone garland as one of your DIY summer projects. With some paper and yarn, you can start creating this festive decoration. They look adorable when displayed and are quite easy to make. 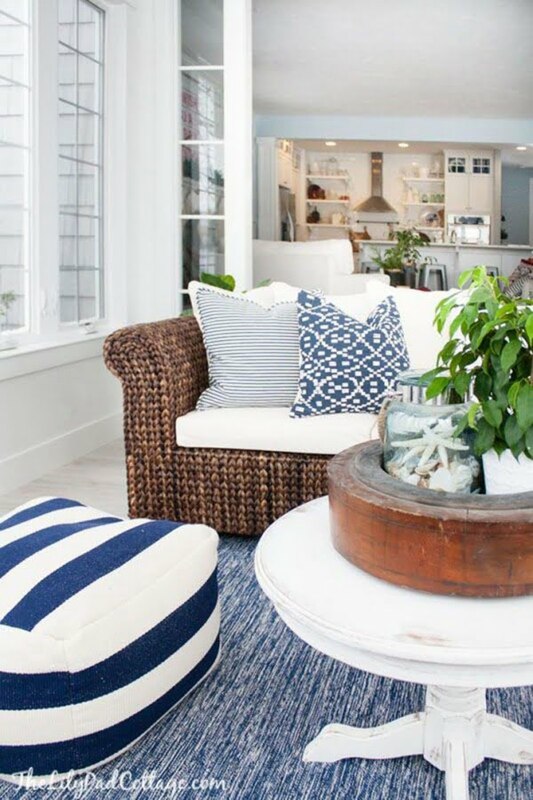 Sea glass bottles can play a huge role in setting a coastal, soothing and beach-inspired atmosphere, regardless of where you live. With the right spray paint in frosty cool colors, you can set about transforming some boring transparent bottles into sea glass works of art. You can be used to create the perfect centerpiece or as décor for a side table. Flip flop wreaths are great for adding whimsy to your front door. They are also a super cool way to welcome guests. You can involve the children as this activity will surely get their creative juices flowing. They can be made in a variety of colors and patterns and can be used to commemorate special summer-themed events. This is a perfect project for passionate shell collectors and shell lovers in general. 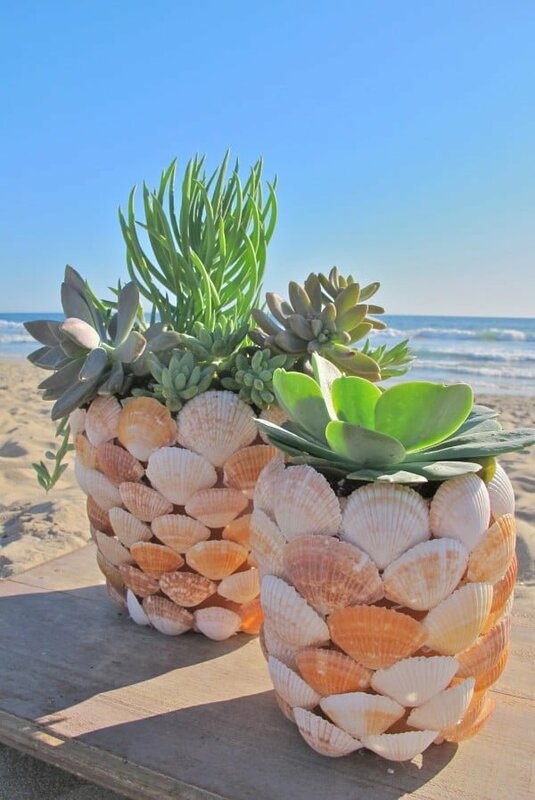 Creating shell planters is a wonderful way to utilize these little treasures. With the help of some terra cotta pots, glue gun and the plants of your choice, you can create beautiful planters that are sure to be conversation starters. Yard dice are a great way to add another dimension of fun to beach outings family picnics and other types of gatherings. These dice are perfect for bringing the crew together for some larger-than-life competition. Get ready to have some remarkable bonding times when you get physical with these amazing yard dice. With pineapple string lights, creating your very own tropical paradise has never been easier. These unique lights are designed to provide the visual impact you need to make your gathering the place to be. Pineapple string lights can bring a tropical vibe to any event. Get your guests in a great mood before they even enter your home. Bohemian no-sew pillows provide the perfect opportunity to introduce new and fascinating decorating ideas into your home. 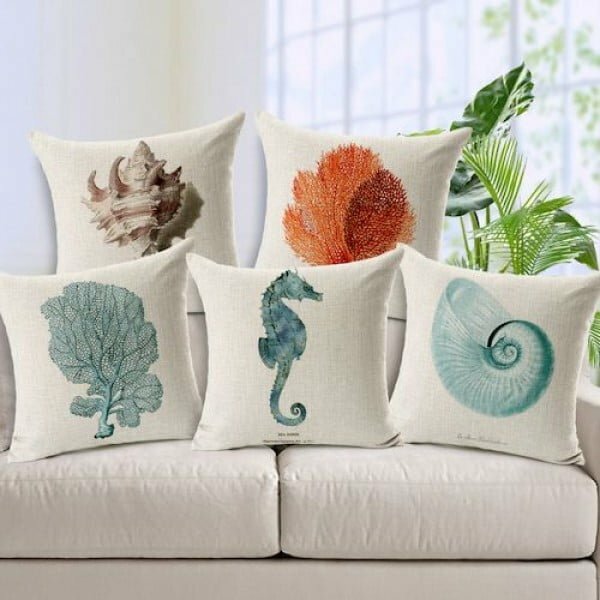 These pillows will make quite an exciting design statement when you use them to accessorize your any space in your home. Inject some exuberance into your home and life by using these beautiful touches of Bohemian style. 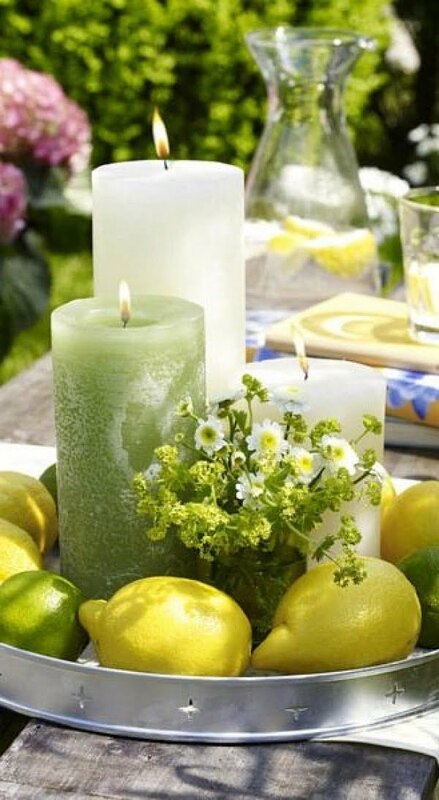 With the use of hollowed-out lemon skins, you can easily create your own naturally-scented votive candles. 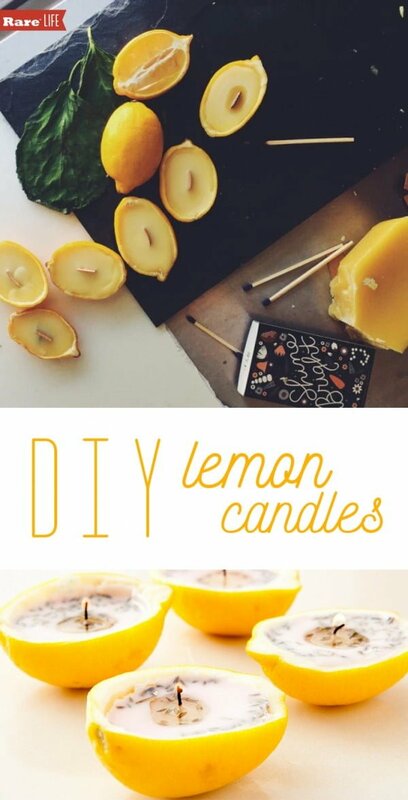 This can be done by adding some beeswax at the right temperature. For best results, use these candles within a day or two of creating them. This is definitely a remarkable way to turn things around when life hands you lemons. Ocean view shadow boxes provide the perfect method of keeping your memories alive. They can also be displayed in your home to share your joys with others. Break out your treasured seashells, print a few of your favorite vacation pictures from a memorable summer, create your shadow boxes and enjoy all year long. With driftwood and seashells, you can create seashore wind chimes to usher positive energy into your home. These are perfect for hanging anywhere you will enjoy them the most. Along with the driftwood and seashells, you can add sparkly beads and some buttons to intensify the visual impact. Use this opportunity to make a joyful noise with your jewels from the sea. A beaded sunburst mirror is a beautiful home accessory and also a wonderful gift idea. If your preference is for a coastal décor, you can make your sunburst mirror in soft gray and blue colors to create that effect. To completely customize your mirror, you can use beads and paper in a variety of colors. Ocean scenes are great for bringing serenity to different spaces around your home wall decor. Painting provides a way to get those artistic juices flowing. Blending blues and whites will provide the foundation needed to start creating the sky. Add some turquoise paint for the water and put down layers of yellows and tans to represent a sandy beach. Create a decorative aquarium for a beach themed vignette or just another colorful item to put on display. It’s as easy as putting things in a jar. Fascinated by mason jar decor? Check out our ideas for DIY mason jar projects. As summer beckons, it is only natural to have gardening on your mind. 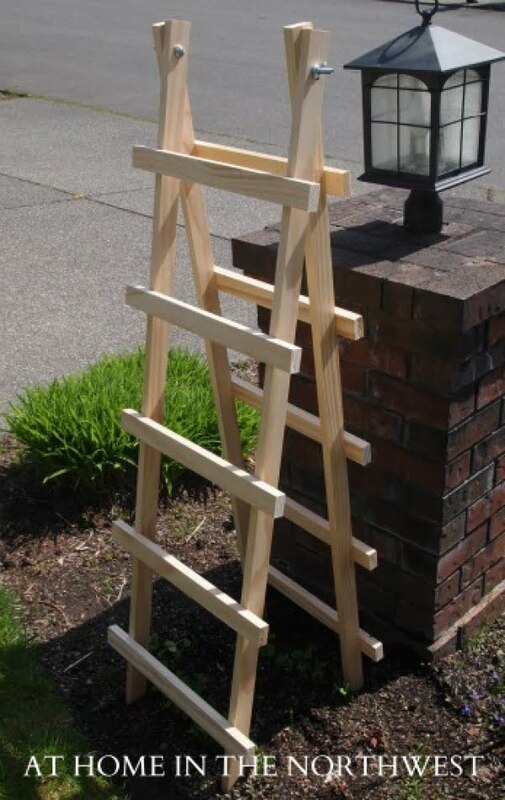 If you have climbers in your garden and you need an appropriate trellis for them to climb up, you need something that will not only be functional but fun too. Check out more ideas for backyard trellis as well. 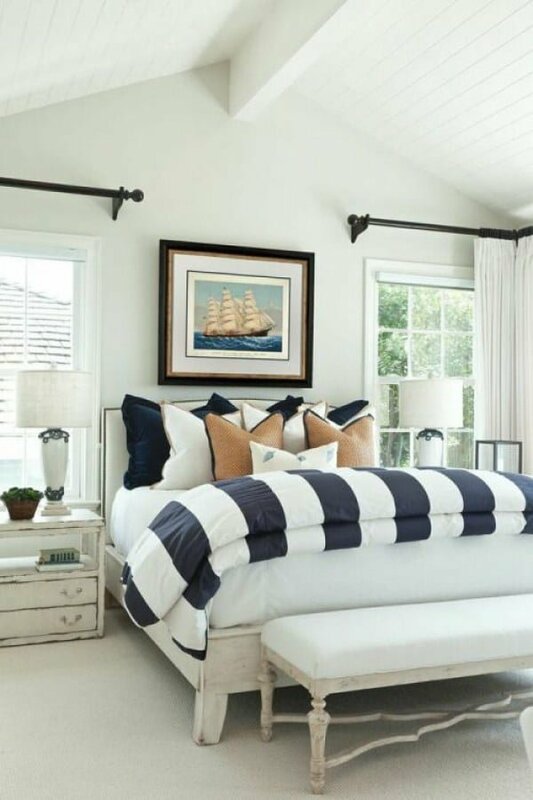 Summer and the sea are two peas in a pot, so having some nautical accents in your decor will bring that whimsical sea breeze into your home. 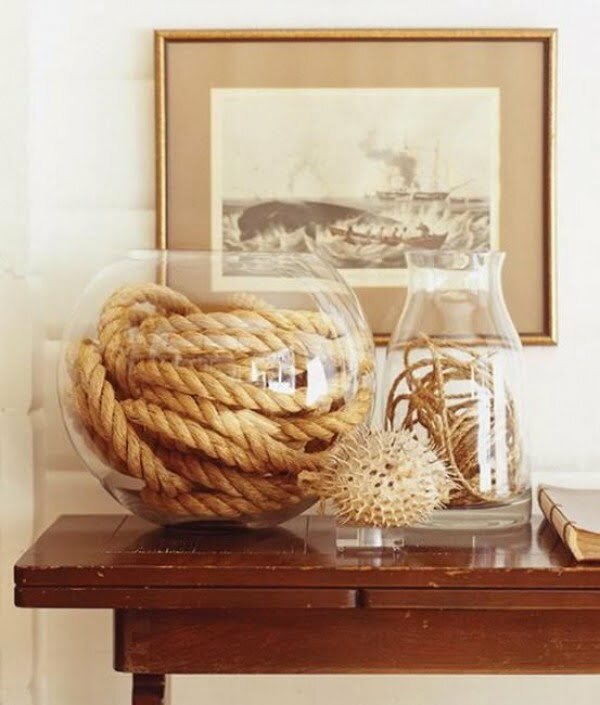 It can be as simple as putting some rope in a glass bowl. The more bright colors you can get into your home, the better. Use different accents, including houseplants. Summer isn’t all about sunshine and good moods, there are some annoyances that you have to take care of. 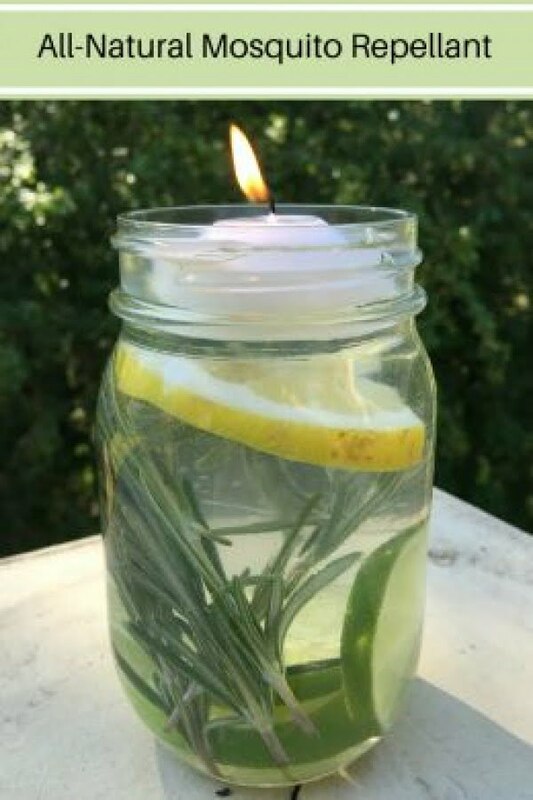 Make a mosquito repellent that can also work as a decor accent. Take the chance to update your bedding, choose soft, sand and sea-inspired hues. If you have wicker furniture, bring it in (or perhaps it’s time to invest in it). 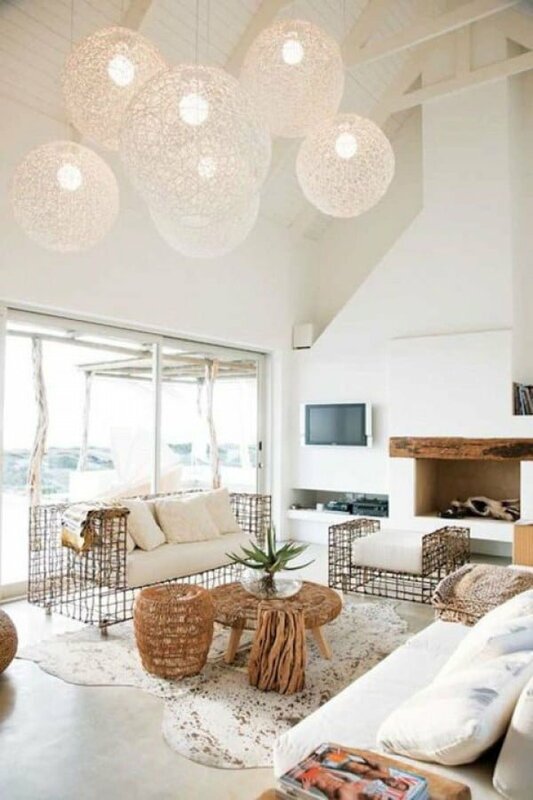 The soft and natural materials will make the room brighter and give that light summery feel to your home. Throw pillows should be the first to get those new covers with new summer patterns. Decorating with fresh fruit will not only get those bright colors in, but add the fresh smells in as well. They’re just as good outside as they are in. Blue reminds us of the sea and even if you don’t live anywhere near it, you can get that vibe with hues of blue. But don’t go overboard (pun not intended) with it – choose soft hues for a few pillows, slipcovers and, if you really want to commit, a new rug. 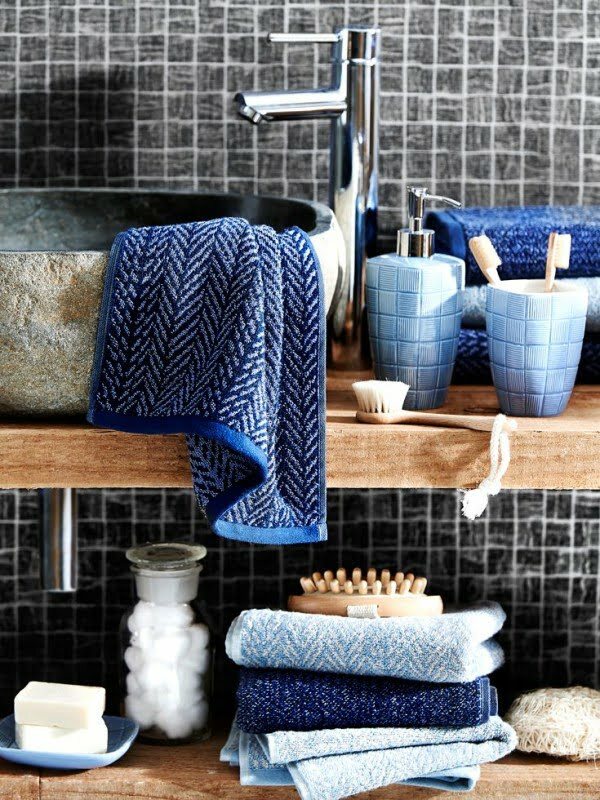 Get new towels, but don’t buy the same color and pattern towels in a set. Instead, choose them in different shades, such as the summery blue. Summer is the time to relax and that means putting your feet up on the table as you lay back on the couch. 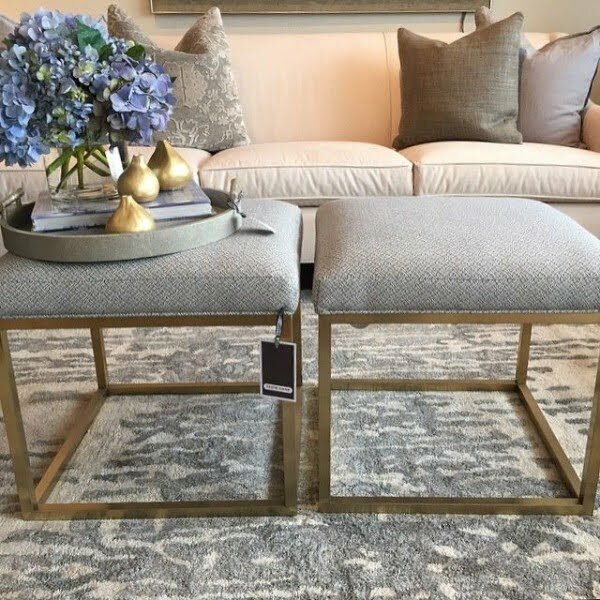 Make sure that can happen by switching your coffee table to an ottoman or a pair of Chinese garden stools. Frame a mirror in an old shutter for a faux window on the wall or the fence, or if you’re up for a little challenge, make a sunburst mirror frame out of sticks. 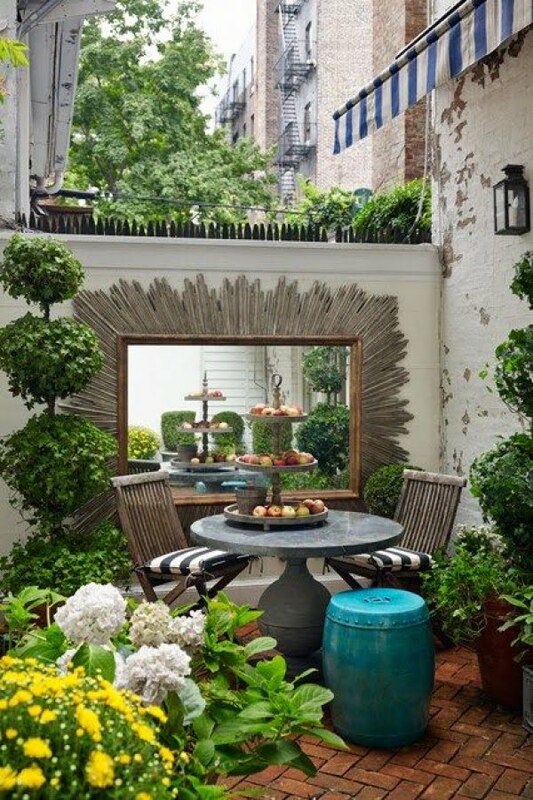 A big mirror will make a small garden look bigger and look more like a room.